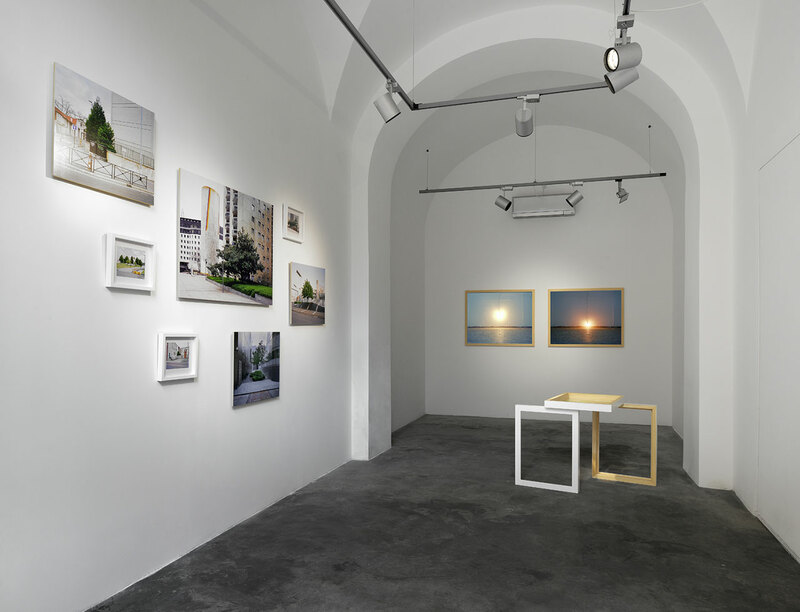 London based artists Minna Kantonen, Dafna Talmor and Emma Wieslander talk to Where’s Art about their recent project On Landscape #2 presented at the new born Matèria Gallery in Rome, while introducing their own photographic research on the notion of landscape as a multi-faceted narrative where nature, history and culture merge to shape our present urban environment. To the ones who are not familiar with your research, what is your work about? Minna Kantonen (MK): I’m interested in landscape and its significance in our lives as we live in metropolitan and suburban environments. 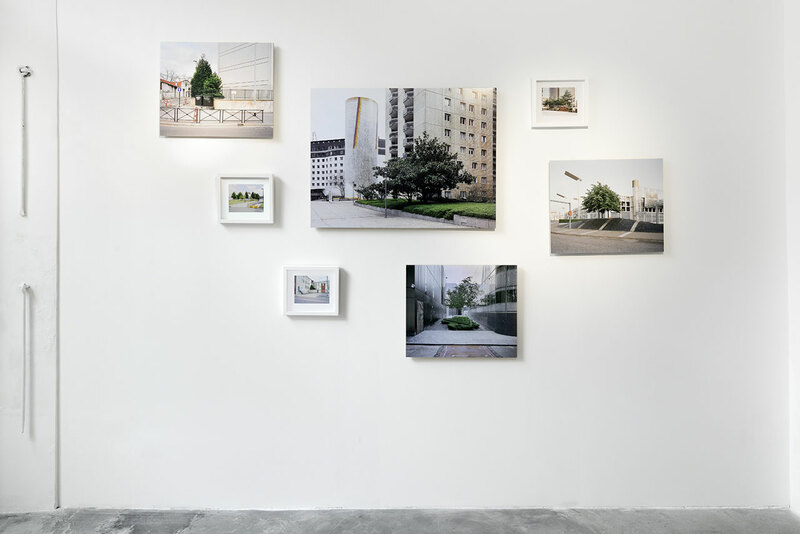 I have specifically documented the urban tree in European capital cities, planted in symmetric rows or groves, exploring the hyper-real portrayal of nature in the cityscape. Emma Wieslander (EW): Landscape, but not necessarily actual physical landscapes. Moments, in the sense of an exploration of certain ideas and points in history and our current time. The image, in terms of pictorial traditions, the photographic medium and the technologies associated with this. It’s all tied together. I’m interested in how ideas about landscape have shaped our understanding of what we see. If ideas mediate what is seen, I attempt to somehow visualize this. For example, the transformation from the three dimensional to the picture plane, visibility and change in the landscape and what is associated to this, as well as desires these ideas, mediations or images might evoke. I think my work is pretty process driven and I enjoy the potential absurdity and circularity that it often creates. Dafna Talmor (DT): The work I’m focusing on at the moment uses photographs of places that I shot across different locations that I feel are not enough in themselves. The images tend to feel too familiar, mundane or clichéd in their own right. As a result, I collage and combine multiple colour negatives in order to create imaginary spaces that remain rooted in reality. I see the work as staged landscapes that serve as metaphors that aim to transform a specific place – loaded with personal meaning, memories and political connotations – into a utopian space of greater universality. I am interested in obstructions, contradictions, oppositions – alluding to the paradoxical nature of photography. What is it in the world that mostly influences your work (music, horror movies, religion, books, economics, mass media, etc)? EW: It’s a mixture of many influences. For example, I really enjoy reading historic guidebooks about places of natural beauty, looking at historic imagery, visiting famous landscapes, experimenting with photographic techniques and finding out about local histories. Of course, the history and theoretical framework around landscape is important to me, as well as, current events and science/politics around ecology and global warming. What is thought of as beautiful, how the photographic image and beauty can be so strongly tied together and the potential for beauty to balance between desire and repulsion is something that also interests me. MK: Our surroundings, the everyday. Personal experiences for sure also have an effect on one’s work. For me one of the big influences would have been the move from Finland to London, which has shaped my work. I also aim to meet and talk to people from different disciplines and backgrounds to gain new viewpoints. For example, I recently showed my work in a gallery set within the context of an architecture practice that enabled me to engage in broader discussions about my work. DT: My work tends to stem from personal experience that aims to grapple with universal themes such as transnationality, notions of home and belonging. As well as being interested in a multidisciplinary discourse around representations of landscape, my work is in dialogue with photography itself, its limitations and the possibilities it opens up in terms of ways of seeing. Pictorialist processes of combination printing, Modernist experiments with the materiality of film and contemporary discourses around the analogue and digital divide also inform my work. What is the project On Landscape # 2? And what is the result of this project? Can you talk about the artist book project? EW: On Landscape Project started as a result of a series of conversations between the three of us. We were all making work that engaged with related discussions around landscape and the representation of it. It seemed we were all interested in raising questions around landscape and were looking for a platform for discussions around the themes that were interesting to us. On Landscape Project was born out of that. We wanted to create a platform where we could bring people with shared interests together so came up with this format where we produce a series of exhibitions, events and put out open calls for books. 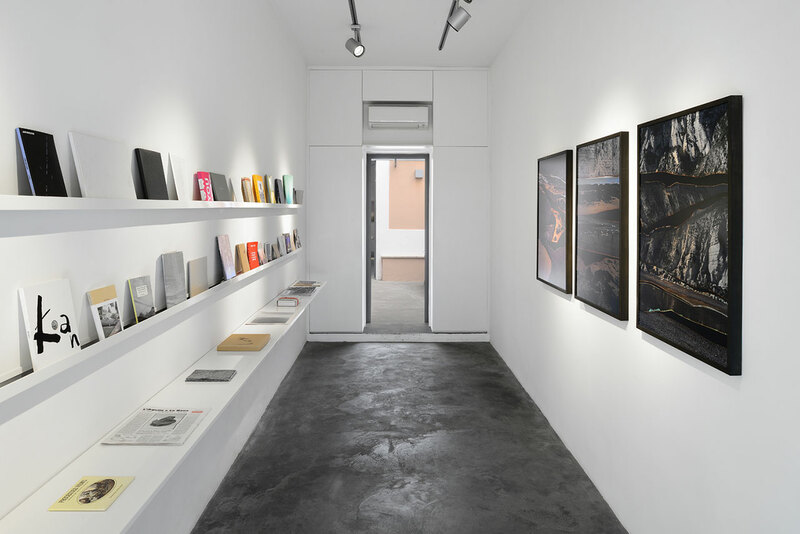 On Landscape #2 is our second exhibition and book call. MK: The book call expands the exhibition to examine more broadly an overview of current projects that examine landscape. We were particularly interested in sourcing self published or short run publications inviting both established and emerging photographers to submit to our call. The book call feeds our library of publications (archived on our website) and we included 10 books from the On Landscape #1 exhibition in the On Landscape #2 display. The books also allow us to meet and network with fellow practitioners interested in similar themes. DT: On Landscape Project is a way to extend our research as individual artists into the space of an exhibition, through live discussions/collaborations and online. These different ways of engaging in dialogue bring about invaluable conversations that help us develop our practice. Including guest artists, book artists and travelling the show to different venues enables us to expand the scope of the project beyond photography in order to widen discussions around representations of landscape. After curating our first show independently in London in Yinka Shonibare’s Guest Projects space, we had a model from which to work with which allowed us to build on what we learned the first time round. On Landscape #2 presented the ideal way to develop our project as it provided the opportunity to collaborate and curate an exhibition with Niccolò Fano at Matèria, a commercial gallery in Rome that has a shared vision in terms of creating a space for critical discussion. The location of the show, the continuous dialogue we had with Niccolò in the run up to the show, working with an Italian panel of specialised judges on the book call (Chiara Capodici and Fiorenza Pinna of 3/3 and Gianpaolo Arena of Landscape Stories), writer (Francesca Orsi) and guest artist (Marco Strappato) throughout the show brought about different perspectives that have been instrumental in developing the project further. How about the invitation of Italian artist Marco Strappato? MK: The inclusion of the guest artist expands the dialogue between our work and the On Landscape #2 exhibition framework. We were particularly keen to source an artist working beyond wall-based imagery, ideally with a local connection, in this case an Italian artist. EW: When we came across Marco’s work we all felt it would work really well in the context of On Landscape #2. 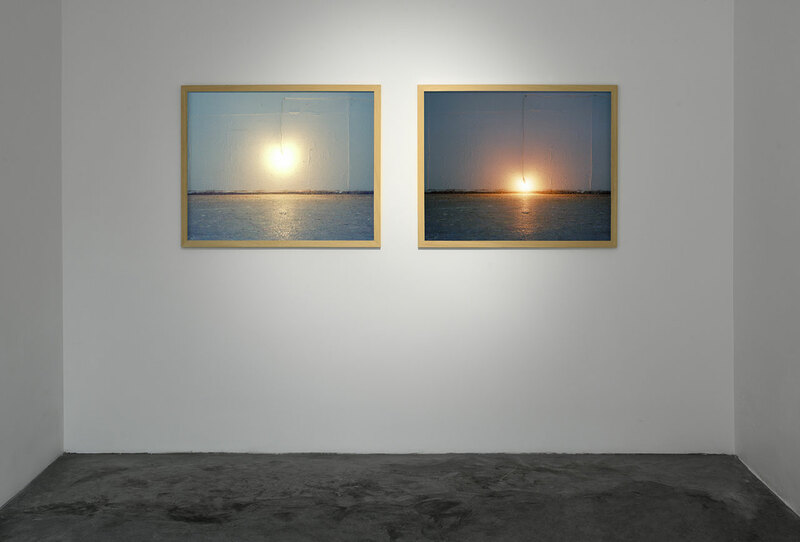 His work examines themes that parallel ours, whilst also adding additional contexts and working methods. 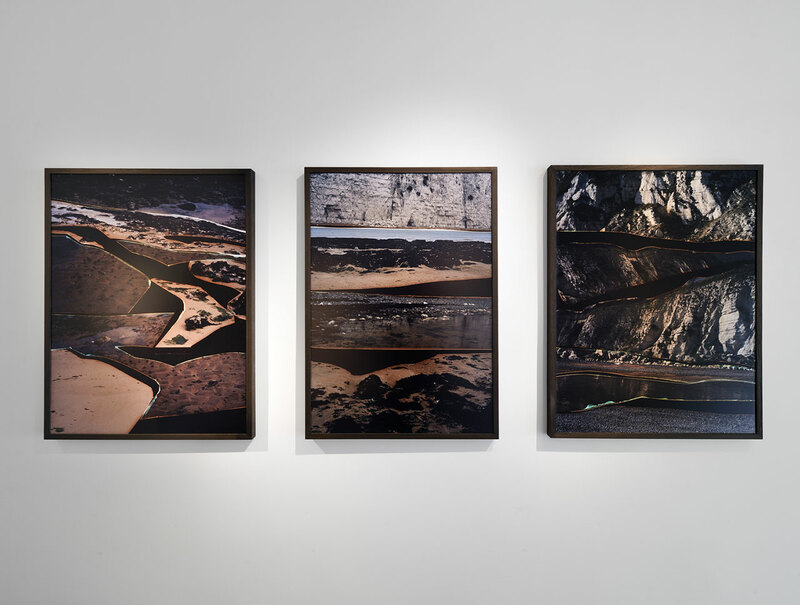 In the installation he showed as part of On Landscape #2 the actual frame or framing of the landscape is foregrounded and materialized as well as the inclusion of found imagery of landscapes. DT: The inclusion of a guest artist is an intrinsic element of the project as it shifts and expands the parameters of the exhibition framework every time the show travels. The genre of landscape is incredibly loaded and brings with it many preconceived notions and traditions that we are interested in addressing and alluding to. The guest artist’s work allows us to re-frame our own work and enables us to see it and present it in different ways in relation to these loaded histories. From the press release, “On Landscape #2 aims to expand on research initiated by its first exhibition (*On Landscape # 1), engaging in further reflection on representations of landscape in relation to a set of preconceived ideas, traditions and pictorial conventions.” Would you like to expand on these new achievements? DT: As mentioned previously, travelling the show to different locations, venues and collaborating with new people widens the scope of our research and is key to developing the project further. Every time we curate a new edition we learn so much and get to engage in fascinating discussions, which widen our understanding of representations of landscape in a contemporary context. These opportunities are invaluable as they keep us from being complacent and are constantly challenging our own preconceptions, pushing our work forward individually and collectively. MK: The book call for On Landscape #2 has resulted in an exciting library of books examining landscape, a contemporary view of landscape, particularly including landscape books with narrative as a thread through. We have now a fantastic library of books dealing with ideas about landscape that we are looking forward to displaying in future editions of On Landscape Project. EW: In the first exhibition we were trying out different formats for events so for this second exhibition we were more clear about what we were looking for. It was the same with the book call. The quality of the books were really high for both calls but for this second exhibition we knew more what to expect. It helped us make a selection of books exploring additional themes to the first call. For example, as Minna mentioned, different narrative structures as well as landscapes in places of conflict. We also had a stronger focus on the actual format of the books and whether this worked with the themes explored.